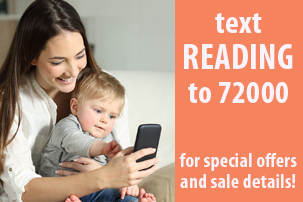 Experience Berks County's LARGEST resale savings event where thousands of local families get MORE for LESS! 9pm - 9pm | Ticket required for sellers and special guests. 9am - 8pm | $3 per adult OR claim your FREE Admission Pass! 9am - 8pm | Visit the restocked sales floor. Free admission. 8am - 5pm | Visit the restocked sales floor. Free admission. 8am - 3pm | Many items are an additional 50% off and admission is FREE. No pass needed. Body Zone is conveniently located off of Route 222 in Wyomissing. Great way to clear out outgrown/unused items and make some extra money! Great way to clean out closets to make room and $ for new items!